Are you in the restoration industry and need more water damage leads? Restoration Digital Marketing has you covered. We have helped restoration companies with their all across the United States, generating hundreds of water damage leads and hundreds of thousands of revenue dollars. With our experience of owning a restoration company and only working with restoration contractors, we know all the right strategies to implement day one. You won't have to worry about having to tell us all about the restoration industry, or sending us content every week because we already have all the information and media needed for your website, social media and print content. The restoration industry is known for being good at water damage marketing in their local area, but not necessarily always online. In many ways, this as proven to be an excellent catalyst for generating fast results for the restoration company. By already being involved in the local community, you as a restoration company may already have a lot of the "Reputation/Authority" needed to make a big splash online. If this is the case, then the focus turns to make sure your technical analysis is correct for what Google is looking for on your website. Fix On Page Technical SEO - We will review your current website and perform a keyword audit identifying the URL structure, H1 tags, image alt tags, depth of content and much more. A typical mistake on most restoration company websites is that their website doesn't have the right keywords and needs a lot more content for each keyword. For example, many sites don't have separate pages for flood damage, smoke damage, tree damage, sewage damage, and other local city pages. Those pages need to be built for your website. Create Content - Being in the restoration industry we know the correct restoration verbiage and can write all your new content for blogging, case studies, social media post and more. We have professional content already built and ready to deploy for your business as well; this allows us to maximize your returns as quickly as possible. Distribute Content - We can publish and distribute your content in any medium and to any channel you need us to. We are posting to social media consistently keeping in front of your local community for brand awareness. We also set up and manage your email marketing campaigns, reaching your previous clients and potential customers all at a click of a button. Our goal is to make your restoration company at the intersection of every decision making the process of potential customers. Advertise To The Right People - There are many ways to create awareness and get in front of the right people. Sometimes that's through face to face relationships, social media posting, networking, and sometimes that's through advertising online. One of the benefits of advertising is that it allows you to target specific people right in the moment of need for disaster restoration services, like water damage restoration. By targeting specific keywords, this will enable you to hyper-target potential customers for the best possible returns of your water damage marketing dollars. Track Leads - It's all about tracking when it comes to measuring results. With our campaign on increasing your water damage leads, any call that comes from your website is recorded and sent to you in an email for your listening, fast and easy tracking right to your cell phone. You will also have access to a tracking dashboard allowing you to measure and identify all water damage leads that you receive. Read this article if you want to learn more about why you should use call tracking. Manage, Measure & Optimize - When you are managing SEO (Search Engine Optimization), PPC (Pay Per Click) campaigns and other online marketing strategies for the restoration industry you have to be up to date with the evolving changing landscape. Specifically to the rules and algorithm changes that Google itself imposes on all digital marketers. These changes can be catastrophic to your online presence if you aren't tracking daily and staying up to date with all the new changes that need to be implemented regularly. Reporting - At Restoration Digital Marketing we provide you with your 'Day Zero Reports' which will give you your starting point before starting the campaign with RDM. Then you receive an ongoing monthly report for your website analytics, goals and monthly keyword rank tracking. If you are/have worked with a digital marketing agency who doesn't provide you with your monthly keyword rank report, you might need to hire a new marketing agency. The keyword rank report is one of the best ways to visually see the work and progress of your online/website campaign. Water damage marketing is not easy. Are you looking for more information on hiring the right digital marketing agency? 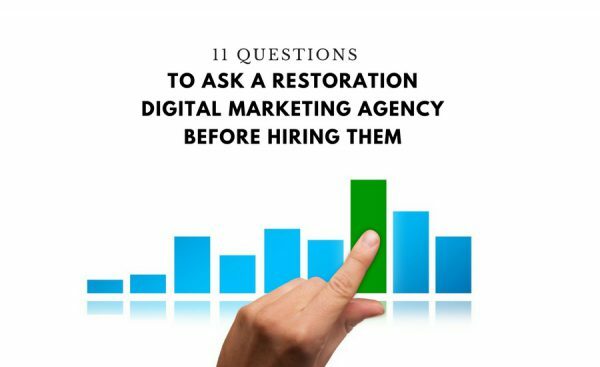 Check out this article on Restoration and Remediation on 11 Questions to Ask a Digital Marketing Agency Before Hiring Them. How do you currently generate water damage leads? Do you your entire source of revenue broken out by referral source? 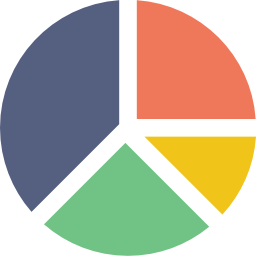 If so, what percentage is the internet contributing to your total sales and revenue? Online water damage leads is a great way to diversify your referral sources for water damage work for a number of reasons. 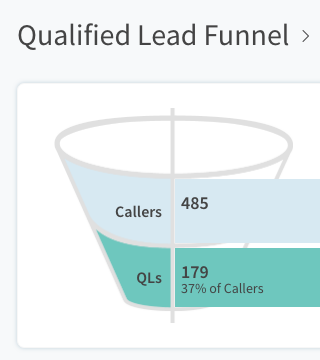 You get access to a dashboard that will collect all online calls - allowing you to listen to them, categorizing them by type of lead and if they were good or bad, evaluate your lead generation funnel to see your online lead conversion rate. The unique feature of Restoration Digital Marketing is that we also run and operate a disaster restoration services business for the last 30 years. We have seen the industry change, we have tried everything under the sun when it comes to generating leads from the market for more work. Now, with our expert marketing staff on hand, and 30 years of restoration business we have built a proven success model for increasing online web presence, organic ranking, and brand awareness all to increase sales for restoration companies across the country. Because of this very specific model we have built, we can only work with one restoration company per service area. Once you sign an agreement with RDM, we can and won't solicit any other restoration contractors in your market. What should you be looking for in your restoration SEO package? Here is an excellent in-depth list that should be included in all search engine optimization plans. There could be other items depending on the skill and experience of the digital marketing company you are considering to hire. Click through rate, mobile calls, etc. Each of these items deserves a proper and in-depth description, read the rest in of this comprehensive review of restoration SEO here.